On August 30, 1997 Princess Diana and Dodi Al Fayed arrived in Paris. Dodi, along with his bodyguard Trevor Reese Jones, went to a fancy jewelry store called Repossi to pick up an engagement ring. Then at 25 minutes past midnight that very evening, Diana and Dodi were killed in a car crash. The authorities were immediately satisfied that their driver was drunk and that it was just an accident, case closed. Considering how very curious certain facts of the crash were, it does exceed belief that any legitimate investigators could be content to wave them aside when they seem to point to so much more than a fluke. Unless of course, they were told to wave them aside. How could it have taken three hours to get the injured Diana to a hospital that was only three miles away? I mean, really think about that. Three hours. They weren't out in some abandoned countryside. They'd been swarmed by paparazzi and followed the whole way. Did no one call an ambulance? Or were the ambulances ordered not to respond? Which seems more likely? Another tell tale sign is one that has become a regular, albeit strange occurrence. It's becoming too difficult to see it as coincidence. There is such a thing as pushing it. The cameras poised in the tunnel - amazingly - coincidentally - inexplicably - just so happened to fail that exact evening at that exact place and at that exact time so there is no video record of what exactly happened. A video record would put an end to the questions and leave little room for debate, assuming all was on the up and up. Sound familiar? Perhaps if this anomaly had never again happened, we could possibly consider it believable. But camera failure is a much too familiar recurring problem at murder after murder. Murders which are always immediately chalked up to one thing or another, lately it's always terrorists. I'm sorry. I just don't think so. After Diana's death rumors were flying about everything. I'm sure the elites were horrified to see the turnout of people who were so deeply moved and saddened by her loss. She had seemed to grow up in front of us, married a prince, had her lovely sons, and then went through the same sadness of a failed marriage and the disillusionment that comes along with it that even every day folks can understand. She was just getting the wind back in her sails when she met Dodi Al Fayed, an Arab, who was fabulously wealthy and whom she truly seemed to love. It's hard to understate the public's emotional attachment to this woman. 750 Million people watched her get married on TV. 2.5 Billion people watched her televised funeral. She was inarguably the most popular woman on earth. She was literally beloved by people all over the world. Then 4 years and 2 weeks after her premature death, we had September 11th in this country, and the first official response was to round up anyone and everyone with Middle Eastern sounding names or Middle Eastern looking faces, and drag them off to jail cells for interrogation. There was rampant hate mongering going on, compliments of the press and the government. 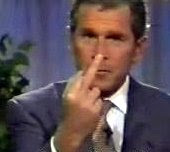 And even though the supposed hijackers were Saudis, Bush decided we really needed to go kick Afghanistan and Iraq's butts. We know now it was all a ploy, a big lie to get us into a 100 year war, which is what these people are all about. That's what gets them off. Don't ask me to explain it, ask them. 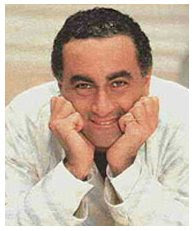 It occurred to me how incredibly difficult it would have been for our government and the press to demonize and vilify the Middle East, and especially Middle Eastern men, if Princess Diana had managed to marry Dodi Al Fayed. As beloved as she was by not only England, but the USA and the whole world for that matter, it would have been beyond the pale to try to vilify Middle Eastern men across the board to get Americans willing to go to war. Four years after we'd become accustomed to seeing the steady stream of magazines and endless TV shows telling us all about Dodi, showing their wedding, and photos and stories about their new children, our hearts and minds would have come to embrace this union, and even begin to feel affection for not just Dodi but the whole Arab culture. We'd have no doubt been introduced to Middle Eastern culture and the middle east itself would have become the new in vogue theme. Middle eastern food, music, customs and dress would have become much more familiar to us cut off ignorant Americans. We would have known that they're people too, living in modern times, and they weren't out to get us. It would have been exponentially harder to push the country into mindless generalized hatred of the entire Middle East if there was just one middle eastern man who was now famous and mainstream, and married to our beloved princess, that we knew and learned to love. Can you imagine statements in the press Diana would be making about bush's vilification of Middle Easterners, his horrendous policies and the ill treatment people are receiving at his racist hands? How quickly she could have cut him down to size by exposing his stupid comments for what they were, and making strong criticisms of his lust for torture, and the endless push to remove human rights from anyone he deemed threatening to his imaginary future world without bad guys. Her influence over so many minds would have given bush a real load of trouble, and he could very easily have failed in getting any war off the ground. A great many more Americans might have dismissed bush's finger pointing and claims of imminent danger for the nonsense that they were, especially if Diana's face was constantly on the front page denouncing his games play by play. Ignorance is what made the Iraq war possible, and the government knows that. It explains why they address the public as though we were infantile morons. It serves their long range hidden plans much better to have an uninvolved, disconnected, cut off ignorant public who never hears another credible, forceful opinion. How well would it have gone over for the republican swine to gang attack the most beloved princess in the world when she lined them out? A lot more people would have seen through them a lot sooner if someone they knew, trusted and even "loved" was speaking out against the republican push to take over the whole darn planet. But it goes beyond manipulating the public. There is also the very real conflict of interest it would have created between the USA and Britain in the power ranks. We could not possibly be going around demonizing Middle Eastern men when Britain's Princess Diana was married to one. Political correctness is not optional in those circles, you don't get to act like an ignorant jerk over rich people's race or ties to other races. It would have made Britain horribly uncomfortable to try to coexist with people they feel the same kind of racism for, that all ruling class twits seem to suffer from. They'd have had headaches every other day with Charles sticking his foot in his mouth every five minutes, and Diana and Dodi making them show everyone who they really are. This couple would have been powerful medicine toward exposing the lies of entitlement and control by the rich that most of us think of as normal. With such a high ranking political symbol like Diana, literally building a bridge to the Middle East with her marriage to Dodi, the US would have had to watch every single word out of it's mouth, and that goes double for the press. If they wanted to keep covering Lady Di, and they did because she was THE perennial hot item that sold magazines, books, newspapers and TV shows, and interest in her never waned, they would have had to treat her husband respectfully, or they'd lose access to their cash cow. There is no telling how far it could have gone, with Diana taking the whole world to the Middle East via magazine spreads, and telling the truth about Palestine and Israel and other things from the perspective of the Arab nations. We'd have been exposed to other very real points of view instead of just the mono vision of the propaganda driven Western media plaguing us today. Yes it would have created a nightmare for those who had planned on 9/11 happening. Perhaps it even set it back a while, to give the public time to forget Dodi and Diana. If it had happened too soon, people would have asked the obvious questions about possible connections between Diana's death and America's mutation into a global predator. Everything I've just said is speculation. But knowing now what we couldn't have known then, you can't say it's beyond possibility. Diana's marriage to Dodi could indeed have thrown quite a wrench in the works of those who manipulate the masses toward their own ends. It might have just ruined their day. Considering all the intelligence services are interconnected and all work for the same people, it simply could not have been difficult to arrange to have a camera not working, and a white car run into Diana's and Dodi's car in that tunnel, and a passing motorcyclist throwing something that exploded with a blinding white light to ensure the driver's disorientation, increasing the likelihood of a fully deadly car accident. And when the people on the scene discovered that Diana was still alive, how hard would it have been to prevent help from reaching her, and perhaps more to the point, who else would have the authority or ability to prevent that help? An ordinary citizen wouldn't have any luck keeping ambulances away, he'd just have been ignored and pushed aside. People wanted to help Diana, they loved her. It's just like the way no interceptor jets were launched on September 11th, even in the two hours lag time between the Twin Towers and the Pentagon being hit. It just doesn't add up. When you ask how things could have gone so wrong, when there are procedures in place that have worked thousands of times day after day, why would they just suddenly stop? Stop right at the worst possible time. Again and again. Even without knowing every intricate detail and fact I think it's safe to say that we never know the truth about what really happens when innocent people get killed. That goes for people innocently at work in the Twin Towers on 9-11, and the students killed in the Virginia Tech shootings, and it goes for Princesses too.